…but give the world the best you have anyway. I recently read the verses above in a book. They were written on the wall of Mother Teresa’s home for children in Calcutta. To be exact, the quote is mostly inspired by “The Paradoxical Commandments”, written in 1968 by Dr. Kent M. Keith, a Christian student leader, in his handbook on youth leadership. The 10 commandments were then slightly adapted by Mother Teresa. As I read the verses, I was struck by how much the business world and our workplaces could learn from them. 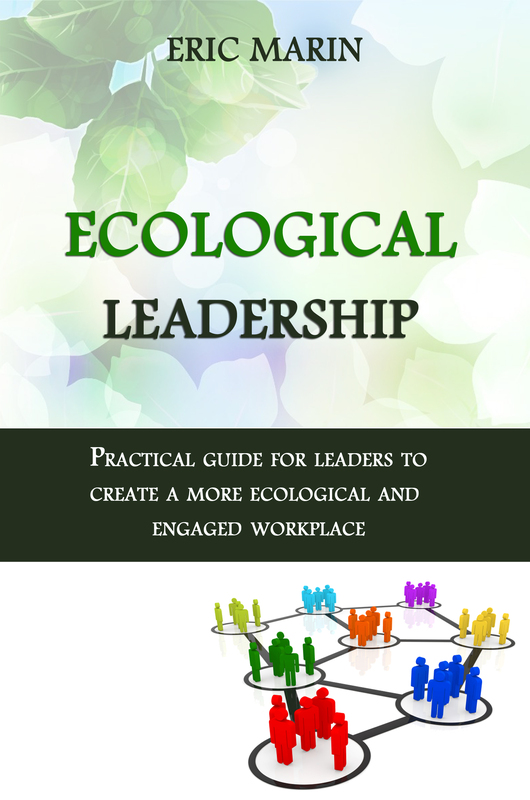 And started to ponder about how much they were aligned with the 8 “Ecological Leadership” Critical Skills I have discussed in my book. People are unreasonable, illogical, self-centered …love them anyway. This is about being a servant leader as well as demonstrating self-awareness in all situations. 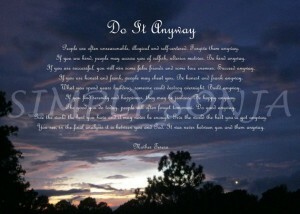 If you do good, people will accuse you of selfish, ulterior motives …do good anyway. Yes, leadership can also be about leading people through kindness and empathy. As discussed in several of my other posts, challenging situations are all opportunities to practice empathy with the other person’s feelings and needs. And for us, opportunities to maintain equanimity and grow. If you are successful, you win false friends and true enemies …be successful anyway. The world, your workplace, your colleagues need you to be true to yourself and to accomplish what you are here to achieve. The good you do today may be forgotten tomorrow …do good anyway. A great leader do things not because he needs to get recognition (he would only then be driven by his ego and pride), but because he is here to serve others out of kindness. And he is also here to create a sense of purpose for his teams. Honesty and frankness will make you vulnerable …be honest and frank anyway. That speaks about self-awareness, authenticity and vulnerability. I have deeply addressed that aspect of leadership in my book. What you spend years building may be destroyed overnight …build anyway. Well, yes, you can set goals and have clear objectives about what you need to achieve (completion of a project, building something, developing a product, …), but true leaders understand it is equally about the journey to get there: the human adventure through for instance coaching and developing people. People really need help but may attack you if you try to help …help people anyway. As discussed above, true leaders are comfortable with their own emotions and are “emotionally”, and sometimes, even “spiritually” intelligent, as discussed in my book. And because they are mindful of their responsibility as leaders, they can see beyond others’ reactions. Not that it means they remain passive when attacked, but they will react out of a different place within. If you give the world the best you have, you may get kicked in the teeth …but give the world the best you have …anyway. As said in my post title, the world needs the “Do it Anyway” Leaders to stand up, and give their best. And you, how do you see Mother Teresa’s quotes be applied today in our business world ?